Italy is undeniably one of the best countries in the world when it comes to food. Food travelers flock to Italy not only for its pasta, pizza, gelato and wine, but also for the history that makes Italian food so iconic. Italy isn’t just good at making food, the country is good at protecting the ingredients and traditions that make Italian food so delicious. This means if you want to try certain ingredients and dishes, you will need to explore multiple regions of Italy. Here’s a look at some of best destinations for foodies to visit on their Italian vacation. Tuscany includes iconic destinations like Florence, Siena and Pisa. The region is most famous for its rolling, vineyard-covered countryside, which produces some of the best Chianti in the world. Aside from the wine, Tuscany is renowned for its rustic cuisine. If you’re an adventurous eater, try a lampredotto sandwich, which contains tripe covered in a spicy sauce. Tuscany is also known for its soups, especially in the colder winter months, so order a bowl of ribollita, a vegetable and bread soup. During the summer, sample panzanella, a cold salad of bread soaked in balsamic vinegar and mixed with onions, tomato and basil then topped with olive oil. When dinner rolls around,b ring your appetite and try a giant bistecca Fiorentina, a T-bone steak from the Chiana Valley region. Sicily is a special island that is home to more than just the tallest volcano in Europe. Sicily’s contributions to Italian cuisine include arancini, which are delicious rice balls filled with meat, breaded and fried. Be prepared to fill up on dessert when you're here, as several popular sweet treats originated from this island. The cream-filled cannoli, for example, and cassata, a sponge cake soaked in liquor and layers of icing. Try these treats at Caffè Sicilia in Noto, which was featured in Netflix's Chef's Table. Trust us, your sweet tooth will be happy. Emilia Romagna includes cities like Bologna, Parma and Modena, among others. But in the food world, this is the region for some iconic Italian dishes. First up, authentic Parmigiano Reggiano — which can only be produced in this one part of the world in order to receive the PDO certification. Next, watch the maestri salatori create Prosciutto di Parma or the secret to Bolognese sauce in Bologna. Soon you'll be ready to cook up your own Italian feast! When you need something sweet, sneak off to the gelato museum housed in the gelato university — yes, there is such a thing. You can even make arrangements to sit in on a class! In Modena, you’ll find the world-famous Osteria Francescana restaurant from chef Massimo Bottura. Learn about Aceto Balsamico di Modena IGP, or true Italian balsamic vinegar. Be sure to try some of Emilia Romagna’s delicious Lambrusco wines, which are markedly different from the overly sweet versions that make their way into the export market. There is no shortage of incredible pizza, pasta and gelato in Rome. But, don’t miss other Roman classics like Carciofi alla giudia, Jewish-fried artichokes, or maritozzi, leavened buns sliced open and filled with a slightly sweet whipped cream. If you like arancini from Sicily, don’t miss Rome’s version called suppli, which are more like croquettes and contain rice, tomato sauce, beef, sausage, gizzards or even a combination of all three. The sign of a good suppli is the melted mozzarella you see when you break into one. While you’re getting lost in the seemingly endless labyrinth of streets and canals in Venice, you’re surely going to work up an appetite. 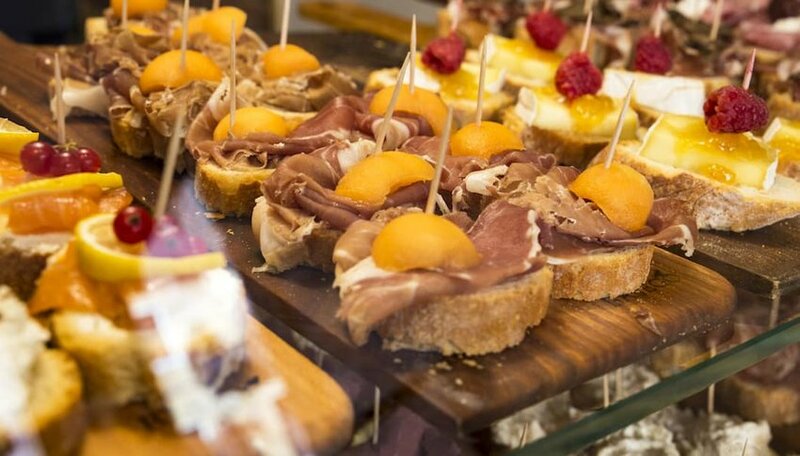 Head to one of Venice’s many Cicchetti bars, which serve Italian-style tapas. Some locations specialize in certain types or styles. One of my favorites is anything with the whipped salt cod spread, paired with a glass of wine or an Aperol Spritz for a local Venetian aperitivo. Now for one of the favorites — pizza. Naples is home to some of the most famous pizzerias in the world, and you could spend a whole day or two just comparing different Margherita pizzas throughout the city, which is entirely doable from personal experience. If you want even more carb-tastic eats, try pizza fritta, a Neapolitan street food made with pizza dough stretched and fried in olive oil. Still have room left for dessert? Try sfogliatella, a traditional Neapolitan pastry made with ricotta cheese, spices and candied peels, or a baba, a spongey cake soaked in either limoncello or rum. While Milan is regarded by many as the fashion capital of Italy, it offers plenty for the food traveler as well. Set in the northern part of the country, you’ll find dishes heavy in meat, rice and butter. Some signature dishes to try in Milan include Osso Buco, pan-fried veal cutlet, and risotto Milanese. If you happen to visit in December, you can't miss Panettone, an iconic Christmas dessert that's a tasty sweetbread. If you’re traveling to Milan the eleven other months of the year, Pasticceria Cova sells it year-round. 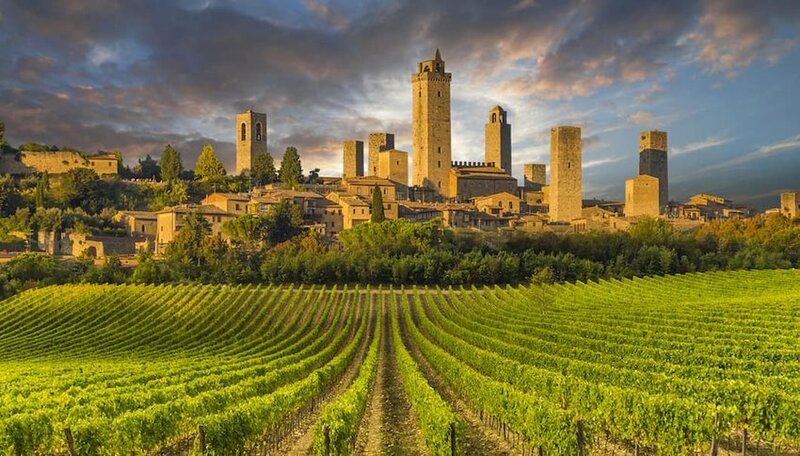 Piedmont is often associated with award-winning Barbera and Barolo wines, but it’s also one of the most important culinary regions in the country. 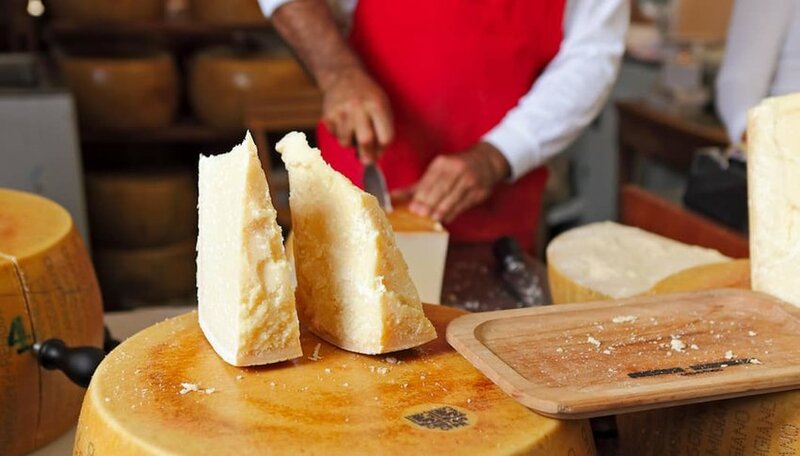 Did you know Piedmont produces over 340 typical Italian food products? One of the best to sample is bagna cauda, which is a warm sauce made with olive oil, garlic and anchovies. 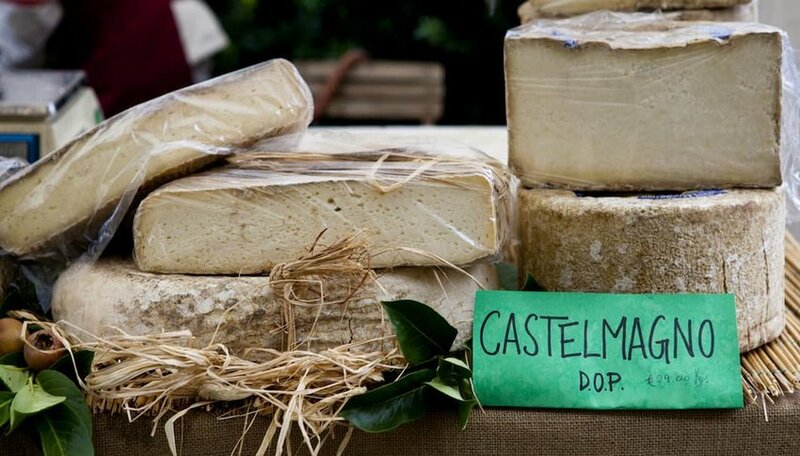 Piedmont also produces a number of interesting cheeses, including Castelmagno DOP, which is an ancient semi-hard cheese made with milk from Piedmont cattle. You’ll also find a number of dishes that incorporate the region’s red wines, like a risotto al Barolo. To finish off a heavy meal, enjoy a small sweet treat like baci di dama, traditional Piedmont cookies that originated during the 19th century in Tortona.